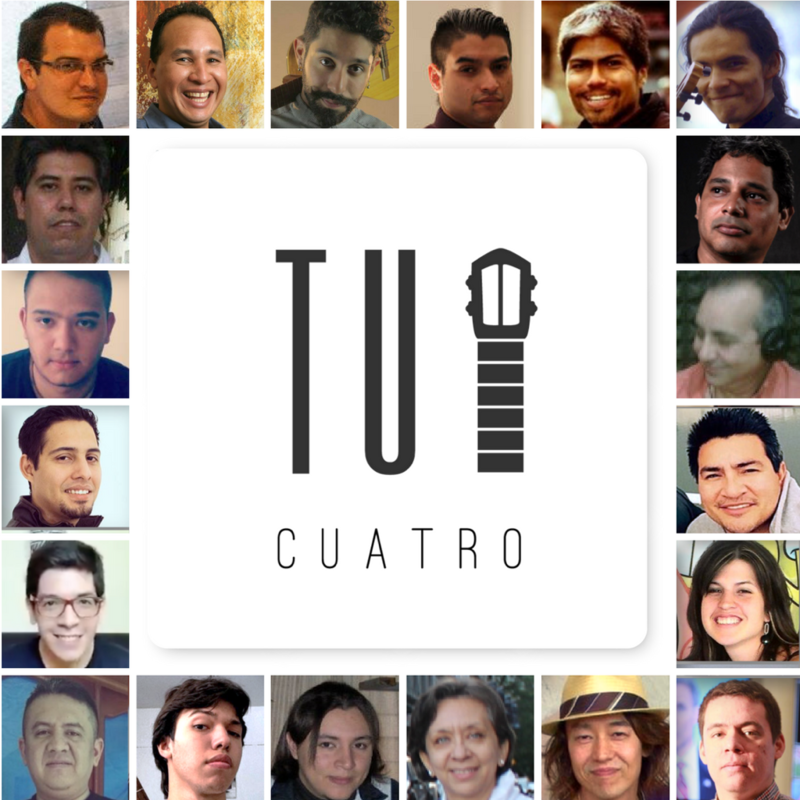 TuCuatro is a portal where students can learn how to play Folkloric and Exotic Instruments (Venezuelan Cuatro, Ukulele, Bandola Llanera, Cavaquinho, etc). Starting as an initiative by Venezuelan Cuatristas, we have dedicated ourselves to assisting and facilitating persons from all nationalities with a means to learn to play the music instrument they love. As a team, we are made up of musicians, innovators and e-learning specialists who are dedicated the teachings of all aspects of these exotic instruments..
At TuCuatro we have the exclusive objective of creating the largest interactive manual for exotic instruments to date. By doing so we intend on extending the popularity of exceptional instruments, like the Venezuelan Cuatro and Bandola Llanera, to anyone interested in learning, worldwide. We dedicate ourselves to facilitating all teachings in a bilingual manner to make the internationalization of the instruments possible. We wish to share our knowledge and expand the presence of folkloric instruments globally. Being extremely proud of our culture and creole heritage, and we are honored to do so on all levels. The experience that each of our students has is our priority and we are constantly making improvements to our services and adding enriching the content. Good Job, but I do have some comments. While going through the “basic” section, I noticed that the segment on seventh chords was available, but there was no access to the Major and Minor modules. This availability could be confusing to beginners, since Major and Minor chords are usually handled before Seventh Chords. Hi Victor, Some great feedback and we very much appreciate this. Based on the feedback, some changes have been made in the order of these lessons. We will continue to enhance the features on the site and more lessons to come! Keep up the great work! I’m not particularly good at music but it seems here I could learn 🙂 good job! I’m navigating the course at the moment, seems really good! Here is an absolutely amazing site to access information and get excellent results. A must have, for any serious Cuatro Musician who wants to learn to play an Instrument of Great Historic and Cultural Tradition. I’m from England and I’m glad I found this page, now I feel I can learn this amazing instrument.